We wanted to take one last vacation before our baby is born in October, and my OB/GYN recommended late July (when I was 27 weeks pregnant) as the perfect time to take a babymoon. 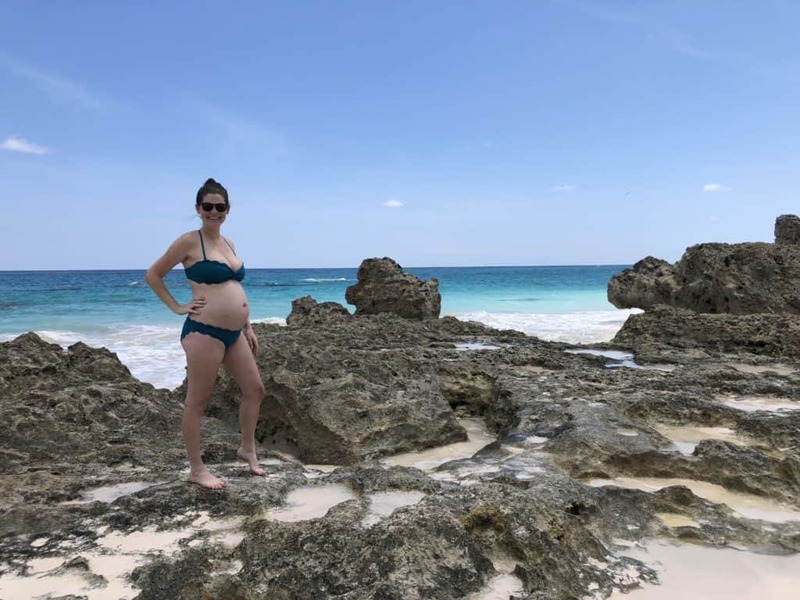 We chatted and decided that we wanted to go somewhere relaxing, sunny, Zika-free, and within a couple hours plane ride from home and settled therefore settle on a Bermuda babymoon. 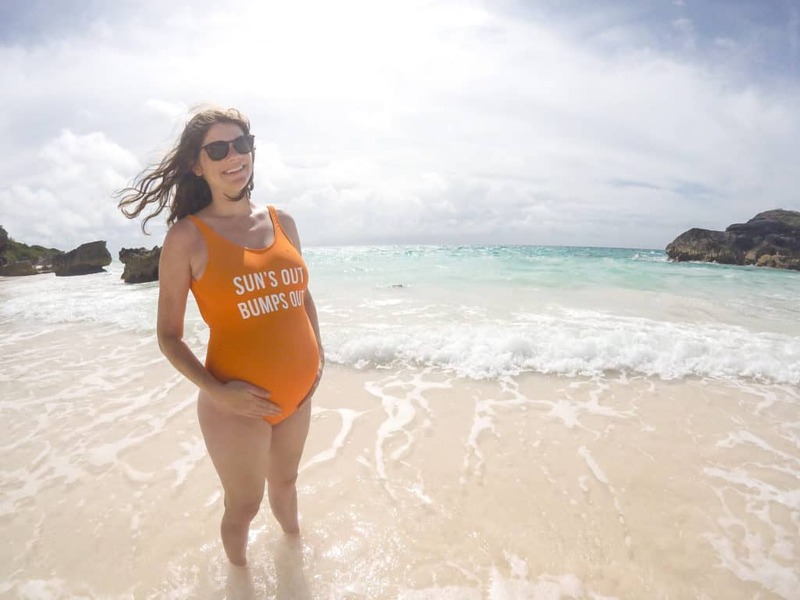 Bermuda is a really popular babymoon spot right now because they are Zika-free. It is also a 90 minute plane ride from most of the east coast of the USA, making it really accessible even if you only have a long weekend. We flew from Washington DC, but there were also flights that we saw from Atlanta, Charlotte, Philadelphia, Boston and tons from New York. I was so surprised as we were planning this trip that many people thought that Bermuda was in the Caribbean! It is actually on the same latitude as North Carolina, which helps to make it so accessible to so much of the east coast of the United States. That is also how they have stayed Zika-free. Bermuda does not have the all inclusive resorts that you might be used to in the Caribbean. However, there are some large hotels that might interest you. We stayed at a BnB that we found through AirBnB. I actually contacted the owner to ask some questions and she ended up offering me a slightly lower rate to book through her directly. The BnB is called the Granaway Guest House and it was absolutely lovely. 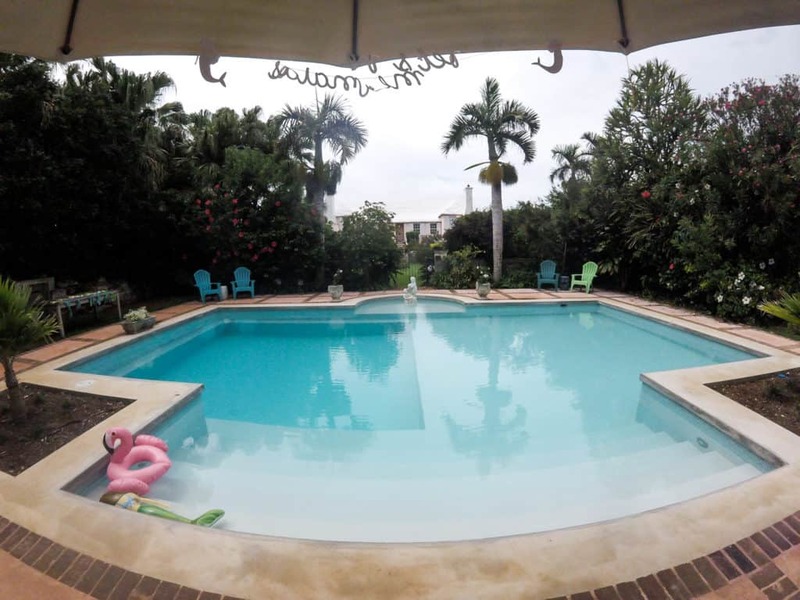 It has four guest rooms and a gorgeous garden with a beautiful private pool and a dock into the harbor. A hot breakfast was also included daily. 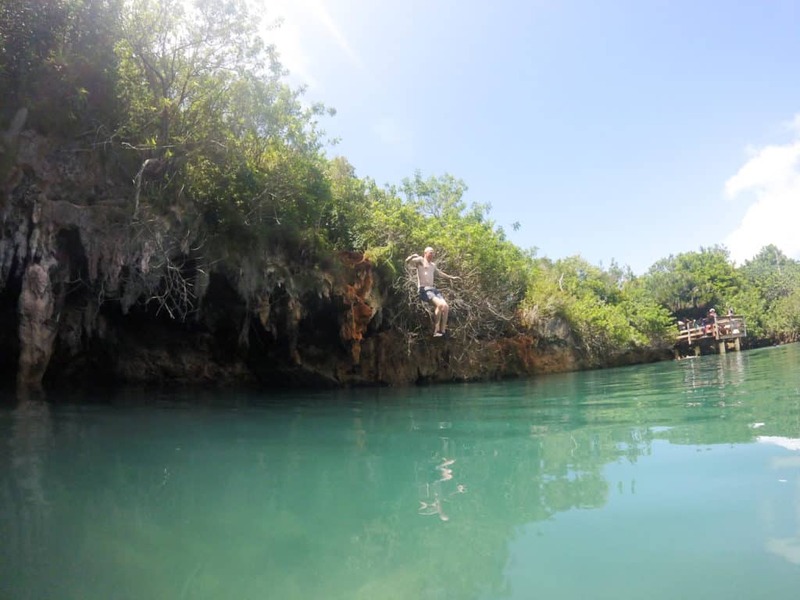 When you are booking a place to stay in Bermuda, be sure to pay attention to location. We were in a residential area, so had to get transportation everywhere. We were a ten minute walk to the closest ferry stop, which was very convenient, and about fifteen minutes from the bus. Since you won’t have a car, this will be very important to note for getting around. 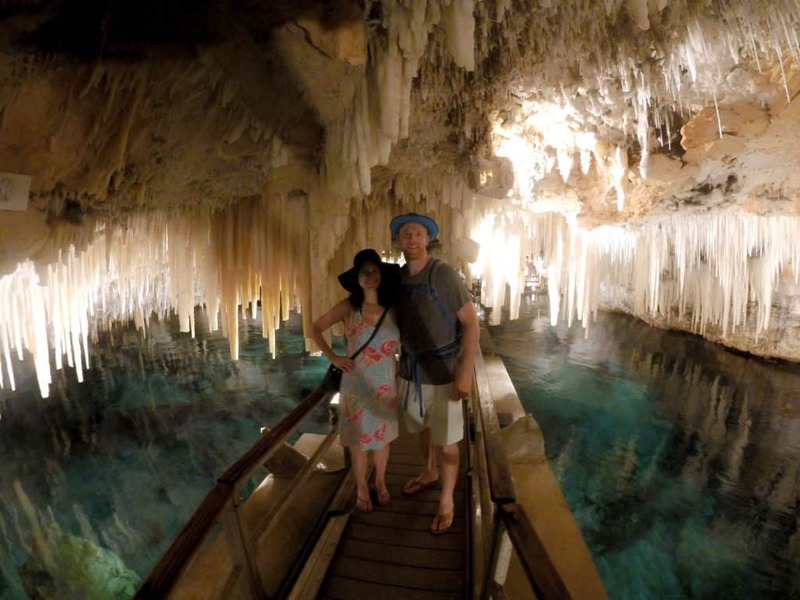 There are lots of babymoon-friendly activities in Bermuda. You can choose to spend each day at a beach or casually walking around Hamilton and be perfectly content, but there are other things you can do if you’re willing to move a bit. Horseshoe Bay is the most amazing beach we have ever been to. Crystal clear blue water and soft pink sand make the most perfect beach day. Just make sure you avoid the cruise-ship tourists and walk five minutes to the left around the rocks and you’ll find four different coves that are basically private. 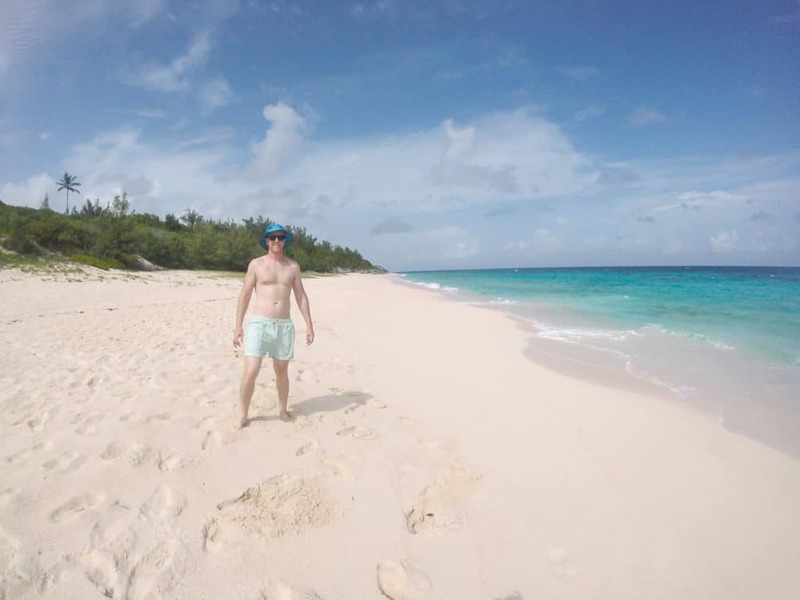 Elbow Beach, Warwick Long Bay, and Alexandra Battery Park are other beaches that are gorgeous. Building Bay Beach at Alexandra Battery Park even has thousands of pieces of sea glass ready for collectors. 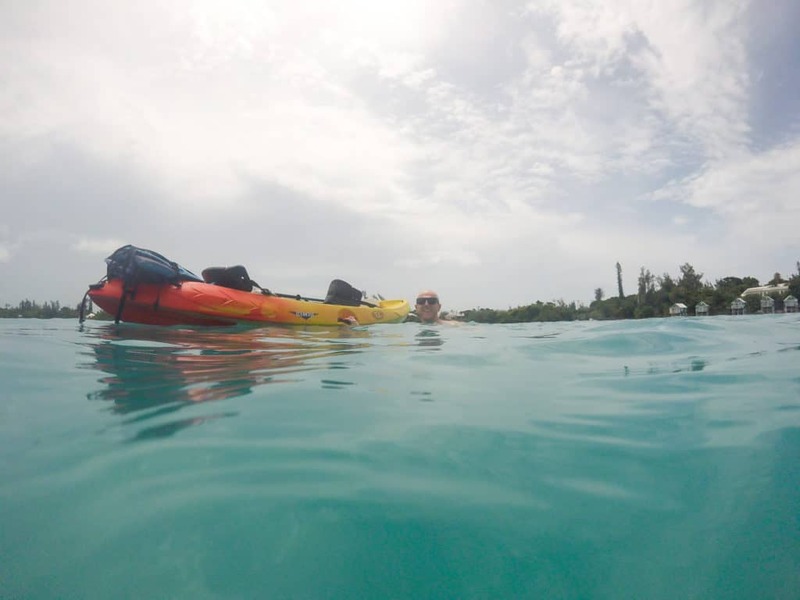 You can rent kayaks and small-craft vessels from H2O Sports in Somerset and check out sea turtles. We rented kayaks and did a wonderful two hour round trip loop through the bays and swam with the sea turtles and it only cost $25 an hour. 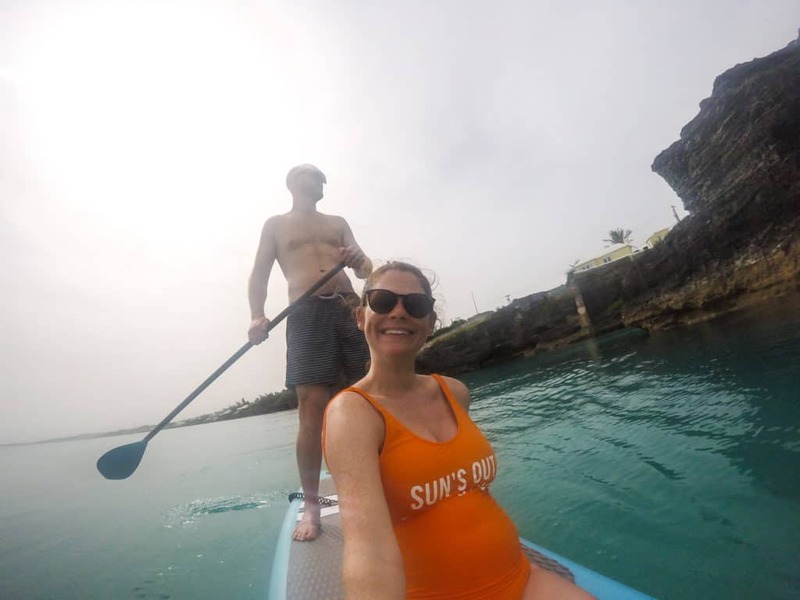 We booked a sailing tour on the Restless Native catamaran and had an awesome morning of sailing, paddle boarding, snorkeling and drinking (kiddie versions of the rum swizzle were available for the babymooners) and seeing caves and fish. 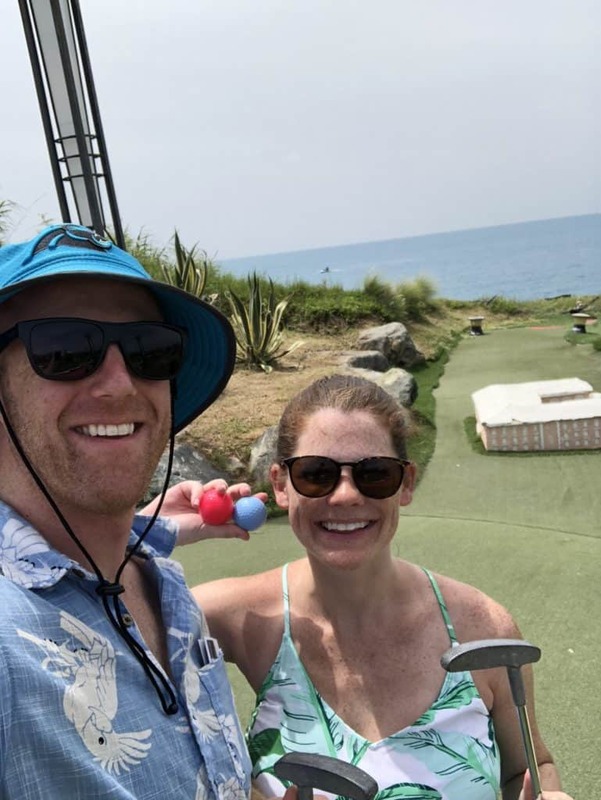 Up at the Royal Naval Dockyard is a putt putt course called FunGolf that was based on real golf holes and was super fun and actually challenging. And don’t skip out on the Crystal Caves. This is a bit touristy, but so cool to go down into the depths of the earth and see the cave formations and learn the history behind it. 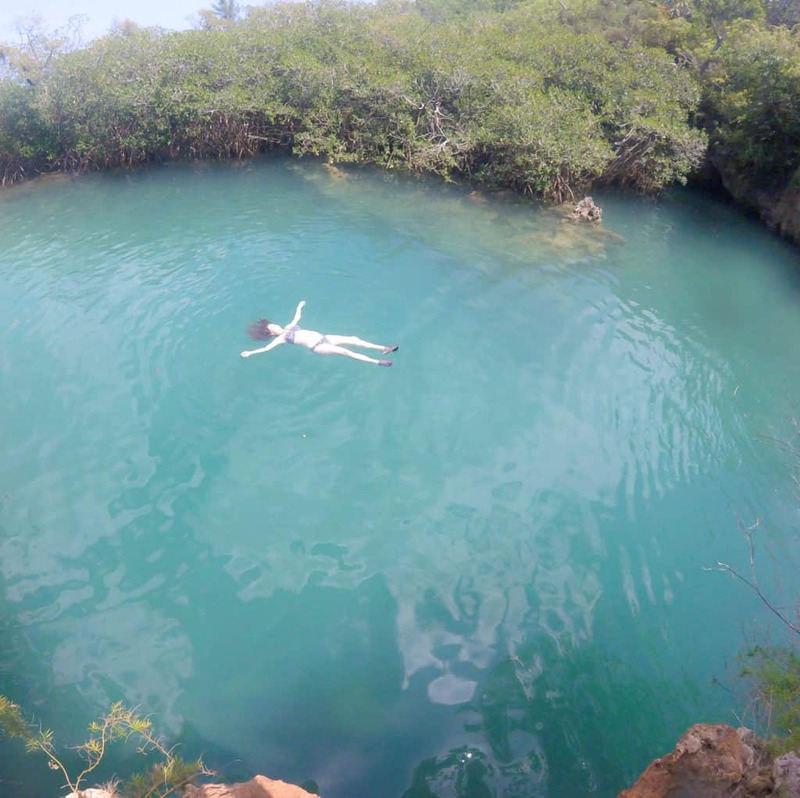 After you go to the Crystal Caves, walk five minutes down the street to The Blue Hole. There’s no sign, but ask anyone there and they’ll point you in the direction of this blue lagoon and the amazing cliffs you can jump off of (maybe not for the pregnant person on this babymoon). And if you’re on you’re Bermuda babymoon in summer and need some air conditioning, you can go to the Masterworks Museum of Art inside the Bermuda Botanical Garden. The garden and museum are great places to walk around for a bit and enjoy a lazy or cloudy day. Plus the museum has a great cafe that was the healthiest food we ate all week. 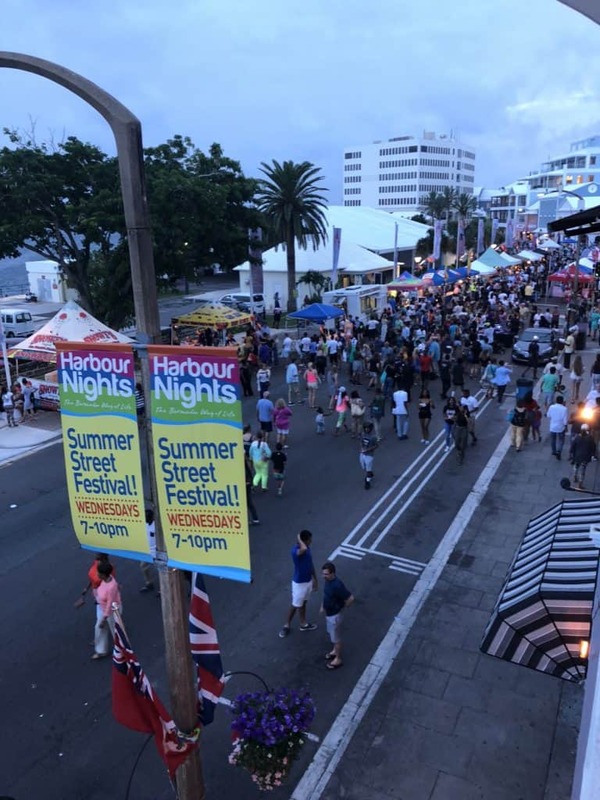 Also, Wednesdays in the summer in Hamilton, Bermuda are the Harbour Nights festivals, with dancing, music, food and craft vendors along the main road. Bermuda still doesn’t rent cars to tourists. You can rent a scooter or “Twizzy” if you want to be completely independent, but these can be very dangerous if you don’t have experience. The bus system in Bermuda is pretty expansive. Tickets are cheap and the buses go from end to end of the island, but you have to be prepared to be on their schedule and take longer to get places. 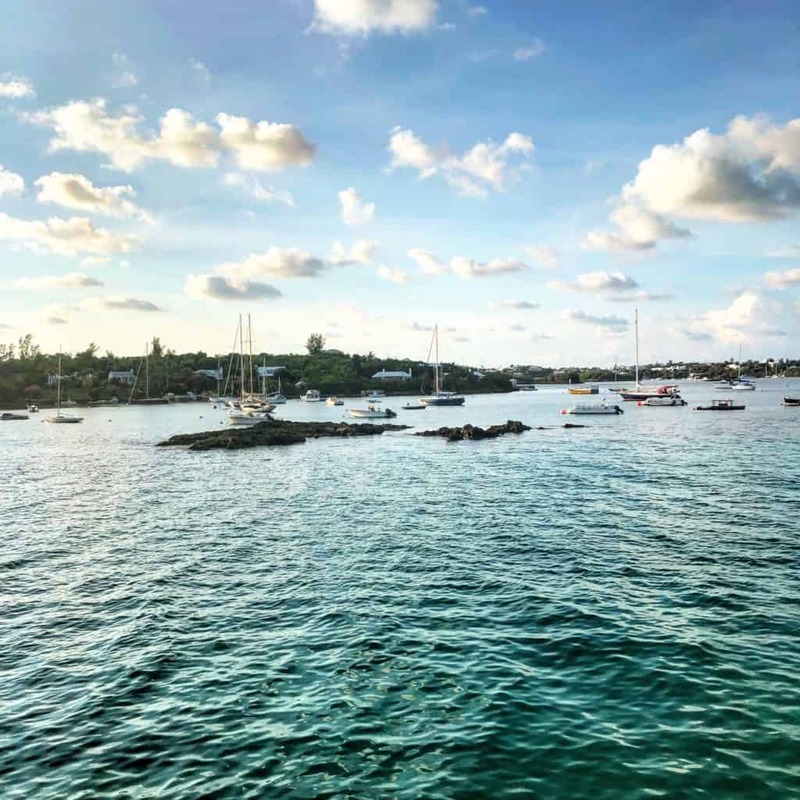 The ferry system in Bermuda runs throughout the inner harbor and is a beautifully scenic way to travel around Bermuda. Especially if you want to get to the capital of Hamilton, taking a bus or taxi to a ferry stop is a great way to get there. You can purchase single tickets or books of 15 tickets that work on both the busses and the ferries. The other transportation option is taxi. There are a number of taxi companies and lots of cabs, but they are expensive. Taxis will get you from point A to point B the quickest and most efficient way, but expect to pay for that convenience. We found that there isn’t a big food scene in Bermuda. Usually, anywhere you go has a speciality in something, but the closest thing we could find was just fish. In Hamilton, there are a lot of restaurants on the street along the water, but they are mostly touristy, expensive and bad. We did find one that was quite good for healthy eaters, call The Pickled Onion.It had a great patio overlooking the water and excellent flatbreads and salads. Go one street up in Hamilton and you’ll find better restaurants, including Lost in The Triangle (LITT) a really casual place to get a great fish sandwich (get it on cinnamon raisin bread!) and good fish tacos. Throughout the rest of the island, the best advice we have is to eat when you can. Since transportation is slim, if you are doing an activity near a place that has food, go ahead and eat there because otherwise you’re going to find it hard to get food and you are going to get hangry. A few places we ate that were decent were Woody’s in Somerset, Blu in Warwick, and The Swizzle Inn in Warwick and St. Georges. 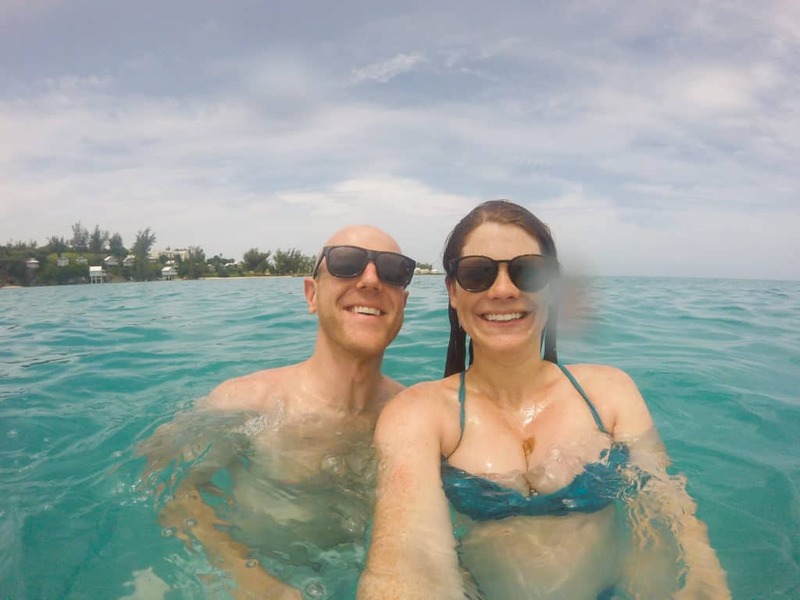 We had a fabulous Bermuda babymoon and will look back at this trip fondly forever! I will be back later this week to share our DIY Maternity photoshoot that we did while on the trip. Stay tuned!